Twitter’s austerity as a platform for raging debates of global issues has only increased. The micro blogging platform’s strength beholds great CSR and communication opportunities for brands to re-establish banal axioms of engagement with their users for the larger good. In one such initiative, BC Web Wise is all set to roll out a series of Twitter Chats aiming to unite digital Indians through universal tone on topics of utter concern. A live chat for Twitteratis with Power Drift and Hero MotoCorp was conceptualised to raise awareness around the perils of road safety. 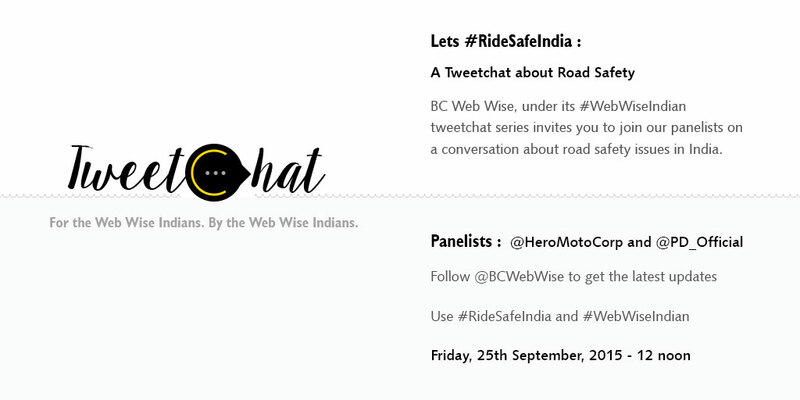 First among the series being #RideSafeIndia, involved an hour long tweet chat that shed light on state of road safety in India. It navigated various topics on the lines of importance and impacts of safety gears and related rider safety tips; regular checkups and bike maintenance, driving under the influence of alcohol, and rash driving. The initiative also dealt with sensitive issues such as how to help road accident victims and what to do when you see a road accident. With #RideSafeIndia, BC Web Wise along with Hero MotoCorp and PowerDrift gave impetus to curios and smart ideas that can help improve the road safety situation in India. #RideSafeIndia introduced the thought of technology oriented solutions to deal with the aforementioned issues. For instance, automated cameras linked to speed sensors to take snapshots of vehicles which over-speed and violate traffic signal lights. This is being done in states like Kerala and others. Traffic Sensors to identify huge volumes of traffic and manage traffic congestion better. Vijay Sethi from Hero Moto Corp along with other esteemed panellists from PowerDrift induced a sense of ownership around the subject with #RideSafeIndia. For a smooth execution, BC Web Wise managed the chat with #WebWiseIndian. 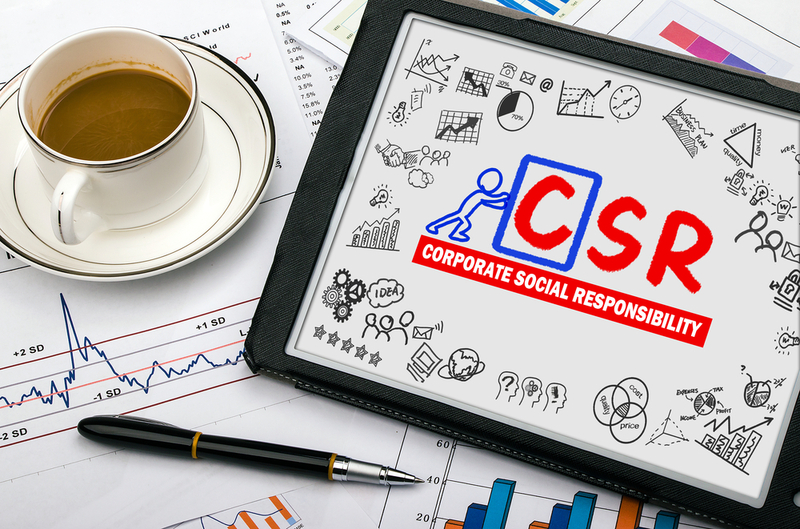 Along with a dedicated landing page, the digital agency has been promoting the CSR activity through consistent Facebook and Twitter push. 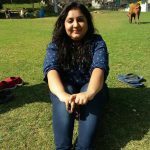 With these Twitter chats, BC Web Wise aims at building conversations around issues which are relevant to different stakeholders in the ecosystem. The agency plans to further build the property with #BCWWWednesdays or #TheWebWiseIndian. By roping in brands, influencers and tweeps at large, BC Web Wise intends to facilitate meaningful conversations around topics that demand instant attention. In the current era while most of the brands have shifted gears towards promoting their prospects blatantly, BC Web Wise has taken a step towards educating and informing the consumers about things which need their attention. This is indeed a great step towards building a community of responsible digital Indians.